***3D VIRTUAL TOUR***~Right out of a magazine! This Gorgeous GULF ACCESS POOL home must be seen to appreciate the fine details. 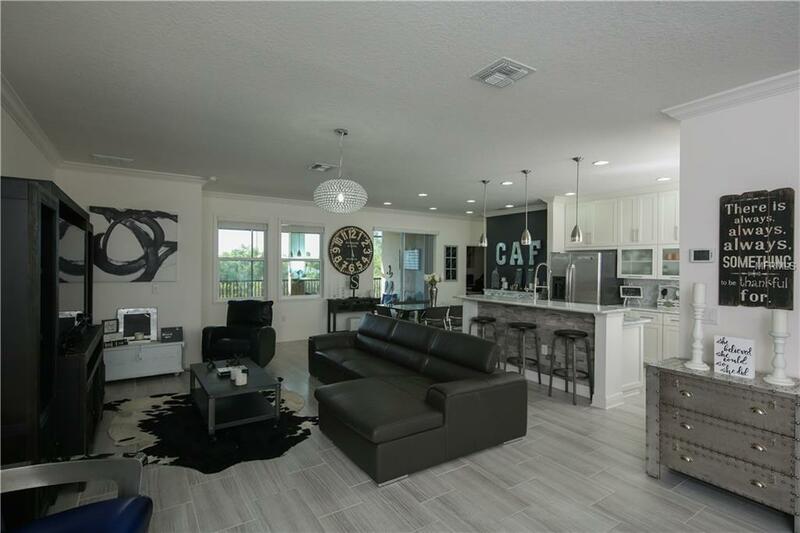 This modern chic 4 bedroom + Flex Room/3 bath/3 car garage home is finished with exquisite granite throughout the entire home including the laundry room. Custom double stacked cabinetry w/glass fronts in an open concept kitchen. Porcelain plank style flooring runs throughout the entire home. High quality finishes grace this home- Crown molding, window treatments,elegant lighting & more.The master bath is elegant w/ pebble floor glass shower & cast-iron claw foot tub and his and her sinks. This triple split floor plan offers privacy for the owners & privacy for guests with the 4th bedroom and 3rd bath separated for a perfect in-law suite or guest suite. The great room is large and stylish with an additional formal area which could be used for a formal living or dining area or perfect place for that baby grand piano! The flex room offers a separate space great for an office, den, media, craft or playroom. The possibilities are endless! No detail has been spared! The kitchen boasts stainless appliances and beautiful breakfast bar that is perfect for entertaining and quick meals. This home lives large and elegant! 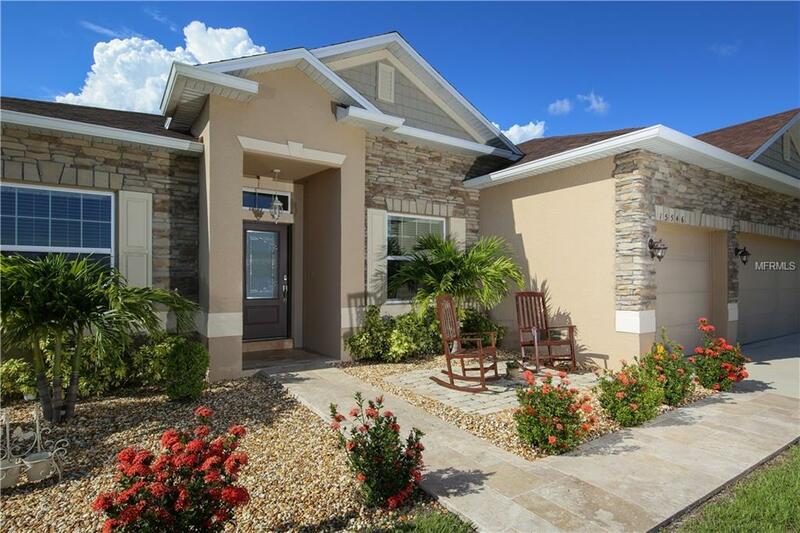 The covered lanai area and sparkling pool top it off! 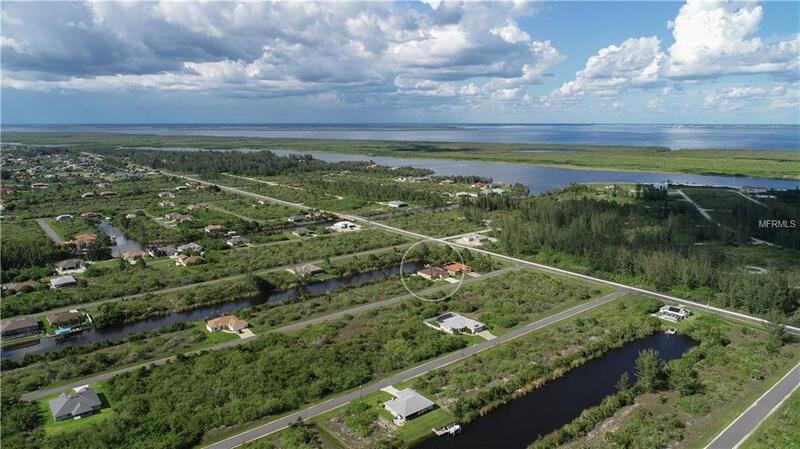 FAST ACCESS out to the Interceptor Lagoon, Charlotte Harbor and the Gulf! Plenty of restaurants, shopping and amenities are only a few minutes away. 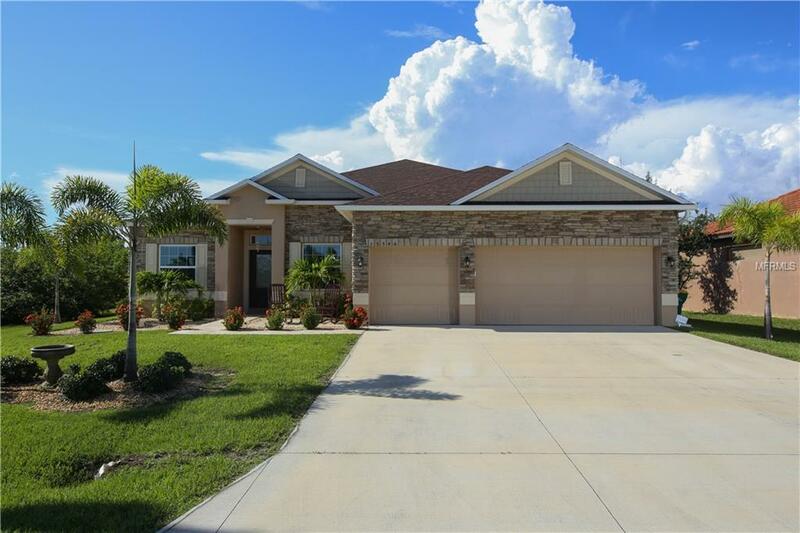 This home is a MUST SEE and is move in ready!